New Oldham manager Paul Scholes says he will try to use his links with Manchester United to the club's advantage, as they dream of a return to the top tiers of English football. The former United midfielder officially took over at the League Two side on Monday, signing on an 18-month contract. It is Scholes' first full-time management role and he admits he will seek help from his old United team-mate Ole Gunnar Solskjaer. "That is what I am going to try to do," Scholes said. "Of course you need to have contacts at this level all over the place. "I have various people I can get in contact with, not just at Manchester United. "Of course I am close to the people at United so if they can help me then I am sure they will." Oldham currently sit 14th in the fourth tier, nine points off the play-off places, and Scholes is hoping he can guide them back to League One by the end of next season. When asked why he had chosen now to take the job, Scholes said: "I feel ready. There have been past when there had been options but now the time is right. I have watched the team closely and they have got some really good players. "This is a squad that should be pushing for promotion. That might be out of reach for this season but certainly not for next season. 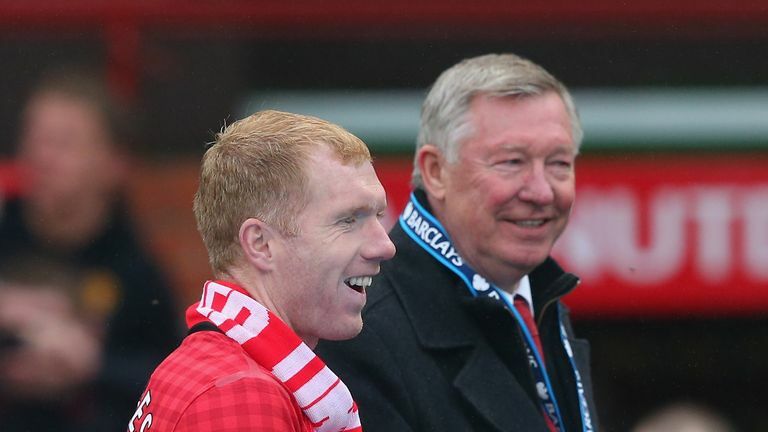 Paul Scholes says he will happily call on Sir Alex Ferguson for advice after taking over at Oldham. "I would not be here if I didn't feel excited by the team. I have watched football at all levels and the basics apply to any level that you are at. "I have prepared for the past two or three weeks watching games as much as I can. There is a team here capable of doing really well so that is why I decided to come." 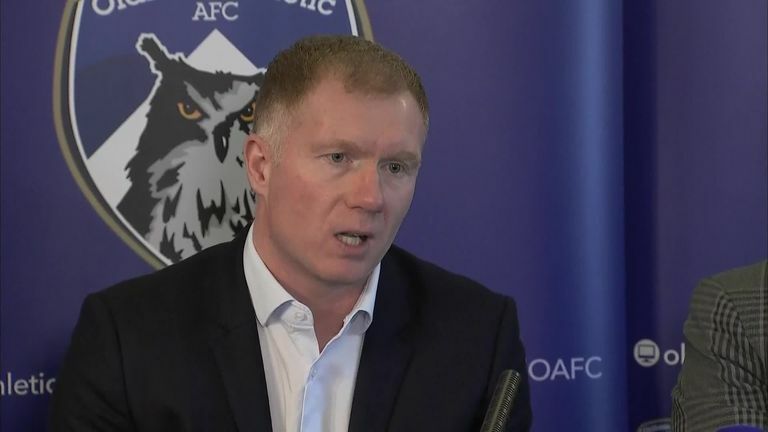 Scholes - a boyhood Oldham supporter - was 19-years-old when the club last played in the Premier League, but says they must retain the ambition of moving back up the football ladder. "That is a long way away," said the 44-year-old. "It would be very difficult to get to those levels again but you have to have that ambition. "The town is brilliant, it is a great place to be. We want those times back again of course we do but there is a long way to go. "I have a lot of passion for this town. I live in the area, just 15 minutes away. "I know it has been 20 or 30 years since there has been excitement at the club and it has always been a club fighting relegation. "I am like every other manager who has been here and I want to try and change things." Scholes' Latics reign begins with three home games in League Two - against Yeovil on Tuesday night, with Crewe the visitors on Saturday, and Morecambe then heading to Boundary Park on February 19.